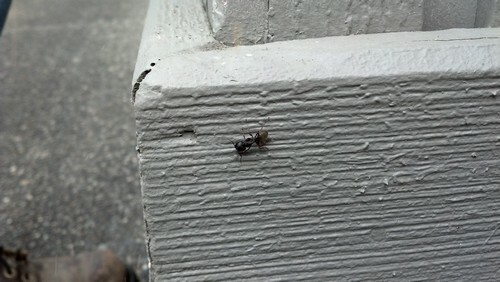 Spring is fast approaching and carpenter ants are beginning to move around inside structures. Seeing carpenter ants inside this time of year is a very good indication that there are one or more satellite nests within your home. If this is the case, it is time to contact a pest control professional to eliminate these wood destroying insects from your home. Carpenter ants can have multiple nest sites all within the same colony. These are made up of a main nest site that contains the queen, and other satellite nests. The older the colony is the more ants and nests it may contain. The queen is located where moisture is available year round, so often the main nest site is not within the home. The colony will set up satellite nests, often within structures, moving in workers and larvae as the conditions inside are ideal for their growth. 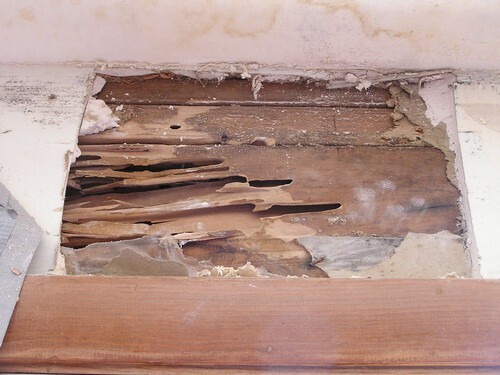 Inside structures, carpenter ants have typical nesting patterns, though there are always exceptions. 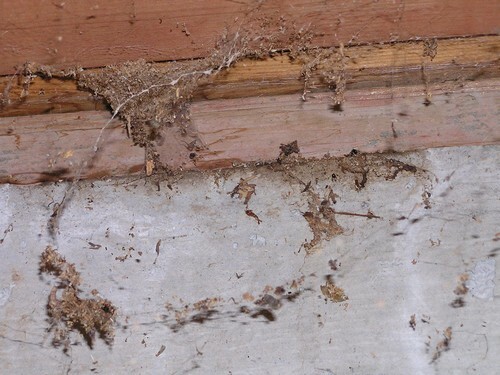 Commonly they are found between plywood and insulation in crawlspaces, exterior wall voids and attics. They will also excavate areas inside wood members (and foam insulation) to make galleries for their colony. Wood that is already damaged, cracks and gaps make easy work for the ants, though they will excavate in good wood as well. The wood that is removed is small, fluffy shaving particles that is called frass. The frass can contain insect body parts too, as the ants are very fastidious and like clean, smooth galleries. As the carpenter ants only excavate the wood, and do not eat it, any wood is an option. Treated lumber and creosote filled railroad ties are no problem for these energetic workers. Seeing this frass in your home is another really good indication of carpenter ants nesting within the structure. Soon ants will begin foraging outside their nests for food to feed their colony. You may see them outside trailing on sidewalks, patios and decks. Continued traffic around your house is also a good indication of a carpenter ant colony located within a structure. Carpenter ants are most active late afternoon and evening though they can be seen any time during the day. An ant colony on the move can set up a nest in a short period of time. The time for preventative treatment is before you see them trailing all around. By then it probably is time for a cleanout/control. 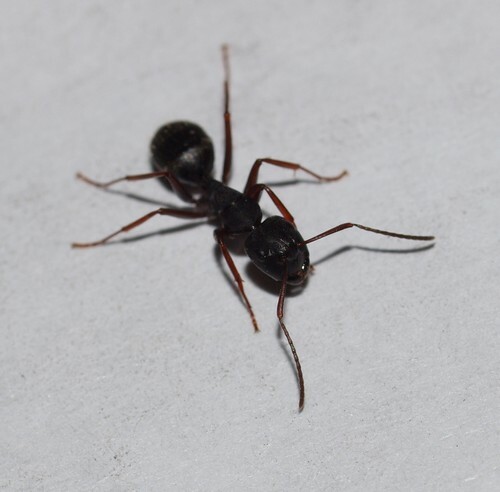 A pest control professional is your best option for any ant infestations. They can use the newest, most innovative products that are available on the market. They have the expertise and equipment to do a thorough treatment, and will use the least amount of product to do the job for you, limiting your exposure. Carpenter ants are a major wood destroyer in the Pacific Northwest. Call a pest control professional to eliminate these within your home to prevent future damage.